Sources are claiming Sir Paul McCartney is sharing a studio with Kanye West for a potential full-album release. Paul McCartney’s upcoming output might be titled Piss on My Grave, a collaboration with hip-hop madcap Kanye West, should The New York Post’s ‘sources’ be believed. Described as “a number of tracks that could develop into an album”, it’s an intriguing prospect, and perhaps not that laughable either. 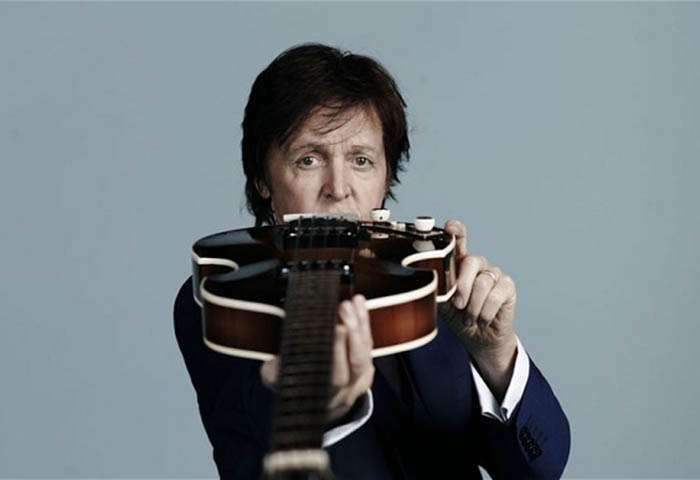 At 72 years of age and countless albums into his career, McCartney is a man that clearly craves relevance beyond his evergreen output of the sixties, and West might be the perfect man to provide it. Yeezus, meanwhile,saw Kanye become the mainstream face of hip-hop’s cutting edge, and he’s a man with his finger on the zeitgeist. Apply that to the ex-Beatle’s gift for a classic melody or two, and something marvellous might well come together. 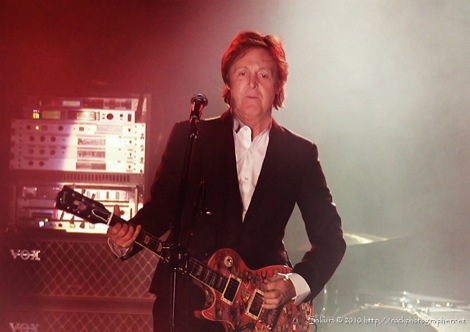 Though the thought of Sir Paul spitting a few bars of his own is an enticing one, he’d be likely to take an instrumental role with the occasional vocal feature, while West takes the lead – a formula not unlike DJ Dangermouse’s approach to his own Beatles-meets-hip-hop release, 2004’s incredible Grey Album. The validity of such reports are, of course, dubious, but both parties have shown interest before. 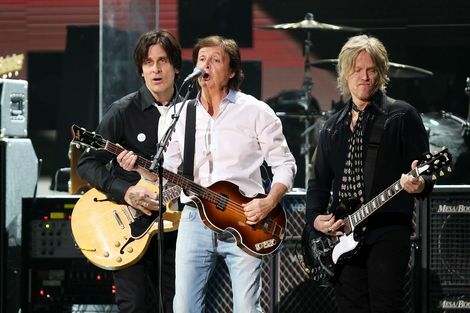 In an interview with Zane Lowe last year, when questioned on the rappers he’d fancy collaborating with, Macca replied “Oh, Jay-Z, Kanye”, while West was spotted at the ex-Beatle’s recent gig in LA. Meanwhile, Getintothis this week published a massive rundown of Merseyside music’s top 50 favourite Beatles tracks, have a gander here.